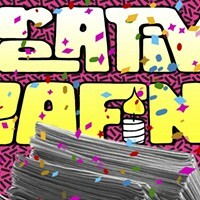 You may have noticed over the past three issues that Creative Loafing has a new logo. Gone is the teeny-tiny word creative above a huge, cursive Loafing. The two parts of our name share equal billing again, as they did in the beginning. Creative Loafing has a long, storied history in Charlotte, and in our 30th anniversary year we felt it absolutely essential to re-emphasize the first part of our name. 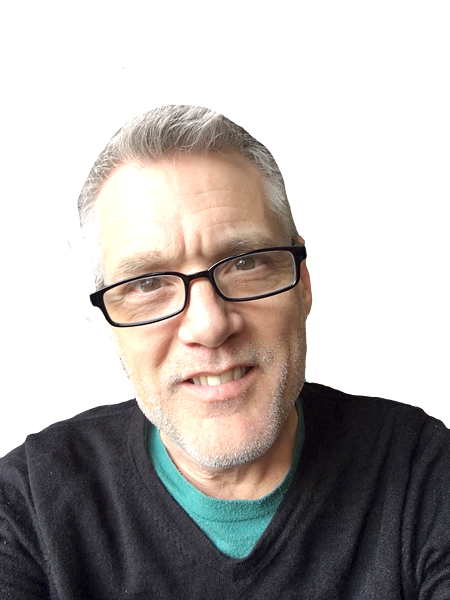 Charlotte's only alternative media outlet has always been about promoting creativity in this city — creativity in the arts, in music, in our dining experiences, in the workings of local government. There's a reason you find Creative Loafing, particularly now, covering music and arts that skew away from the obvious mainstream products that paid publicists push. There's a reason we focus on the works of local, independent, often avant-garde musicians, writers, painters, designers, filmmakers. There's a reason Creative Loafing ferrets out eating establishments that aren't necessarily the newest or swankiest overpriced joint in an Uptown skyscraper. There's a reason we look to sports teams like the Charlotte Roller Girls over, say, the Carolina Panthers. And there's a reason we delve into news issues important to marginalized communities: people of color, people of different cultures and faiths, people of different gender identities, people who have different ideas about what art and music can be. It's not that we ignore interesting works or issues coming from the dominant culture of straight, white, middle-class Charlotteans. We don't. But other media outlets handle mainstream arts and issues well. The Charlotte Observer, for example, does a great job of making sure the Panthers and NASCAR stay in the news. They cover the national and international news, and the big touring acts like Paul Simon or Lady Antebellum. You don't need us to tell you about those things. Creative Loafing arrived in Charlotte in 1987 to cover arts and issues that don't get enough attention from mainstream sources. We believe avant-garde ideas or issues of importance to marginalized cultures enrich Charlotte, particularly in a time when federal and state lawmakers alike are making life more difficult for our marginalized cultures. Charlotte benefits from creative ideas and creative solutions, and Creative Loafing is here to put a spotlight on those things. We're also here to question and criticize uncreative ideas that maintain an outdated status quo, particularly when said status quo is bad for certain segments of the community. For instance, we're here to say "hell no" when lawmakers gerrymander on the basis of blatant racism. And we're here to praise decisions that uphold creativity and inclusivity — decisions like the one made just days ago by the Supreme Court striking down racist gerrymandering in North Carolina. Our previous logo, which emphasized the second part of Creative Loafing's name, made it appear as though we are more about idle fun. But there was a reason the founders of this paper humorously juxtaposed a term that means idle fun (loafing) with one that means being innovative and inspired (creative). They wanted to provide you, our readers, with fun and relaxing ways to be innovative, diligent and vigilant — all at the same time. This week's Creative Loafing is a perfect example. Our cover story is about craft beer, an innocent enough topic. After all, having beers with friends is about having fun. But the takeaway from news editor Ryan Pitkin and regular contributor Kia Moore is more substantial than just lounging around and having fun; it's also about paying attention to whom we're lounging around and having fun with. Craft beer is predominantly white. Not intentionally — it's not that craft beer enthusiasts are holding Klan meetings at breweries. Not at all. But oftentimes craft beer culture has unconsciously created an unwelcoming environment for people of color. Creating a more welcoming environment requires conscious creativity, like the events Moore covers in her piece, "Cultivating Black Brew Culture Through Hip-Hop." When that happens, we all reap the benefits of the wonderful things a more diverse society can offer. 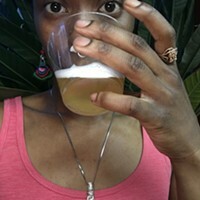 Two craft beer companies Pitkin talks to in "Local Brewers Defy the Lily-White Craft Beer Scene" — the black-owned Black Star Line Brewing and Three Spirits Brewery — are setting precedents that likely will have a profound impact on how craft beer culture evolves. 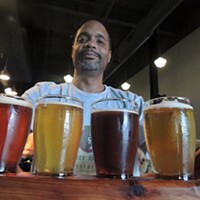 As one patron of Three Spirits says of walking into the brewery and being greeted by its black owner, "You feel not only at home, but not intimidated from the traditional, dude-bro, 'No soup for you,' approach to the craft beer scene." That's one small step, but a few giant leaps need to be taken. And Creative Loafing will be here to report on them — with an eye to both creativity and fun. Because at Creative Loafing, we know that you can't have one without the other.